The government of the Democratic Republic of Congo (DRC) has received millions of dollars aimed at stopping deforestation and promoting sustainable development from donor countries and organizations despite breaching a moratorium on new logging concessions, claims the environmental NGO Greenpeace. That’s about four times the size of Berlin, or one and a half times the size of the U.S. state of Rhode Island. “The future of the planet depends on our collective ability to both protect and restore forests at an unprecedented scale, while simultaneously increasing agricultural production to meet growing global needs,” Norwegian Prime Minster, Erna Solberg said during the World Economic Forum in Davos earlier this year. “[T]he contract to GBC and approval letter to APC is illegal and a violation of the 2002 moratorium on the allocation of industrial logging titles,” said Greenpeace forest campaigner Irène Wabiwa Betoko in a statement from the organization. Rumblings from within the DRC government, including comments from Bopolo, indicated that leaders may try to end the moratorium soon. Still, its efficacy has been in doubt since it was first instituted. Research by the International Workgroup for Indigenous Affairs based in Copenhagen, Denmark, has shown that the awarding of concessions has continued since 2002. 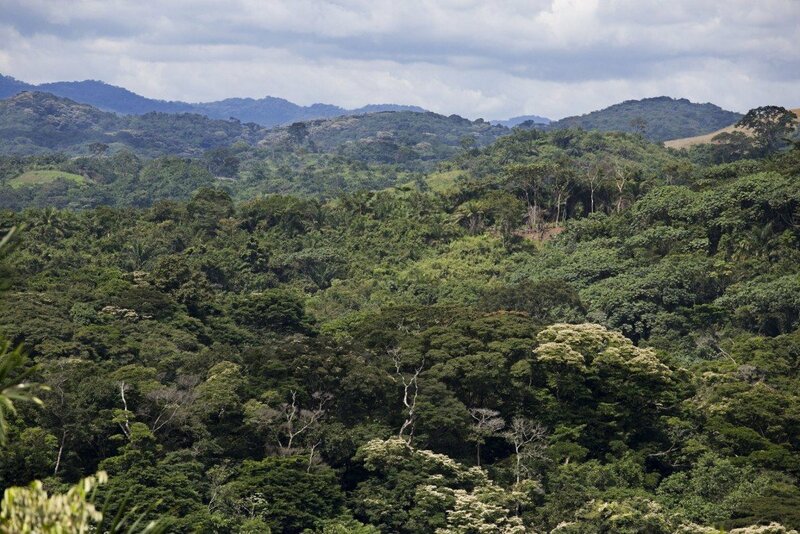 Greenpeace questions why DRC is on the cusp of receiving funds tied to the protection of its forests from the Norwegian government and the Central African Forest Initiative (CAFI), when the government has given out permits after those agreements were signed. CAFI signed an agreement in April 2016 with DRC worth $200 million to help the country protect its forests, the largest agreement in Africa for REDD+, short for reducing emissions from deforestation and forest degradation in developing countries. REDD+ aims to help forest countries reduce their carbon emissions and develop sustainably. DRC holds about 60 percent of the Congo Basin’s forests. Greenpeace claims that Vidar Helgesen, head of Norway’s Climate and the Environment Ministry, visited DRC in August 2016 “to prepare the first disbursement” from a forest-protection fund led by Norway worth $200 million. In July, Greenpeace asked for investigations into how these concessions have been awarded – and to whom. The Congo Basin contains the world’s second-largest rainforest, most of which is in the DRC. The 162,936-hectare logging concession awarded to Groupe Les Bâtisseurs du Congo (GBC) is located in Tschopo Province, while the 239,393-hectare APC concession is in Mongala Province. The forest monitoring platform Global Forest Watch shows both provinces had heavy primary forest cover in 2000 but have been affected by deforestation, with data indicating Tschopo lost around 4 percent of its tree cover from 2001 through 2014 and Mongala lost around 8 percent. This loss may be on the rise, with rates nearly doubling for Tshopo between 2012 and 2014 and more than quadrupling for Mongala during that same period. The press statement indicates that the president of the GBC board of directors, Faustin Lokinda Litalema, is also the agriculture and rural development director to DRC President Joseph Kabila. GBC received a 25-year lease on 162,936 hectares (629 square miles) in Tshopo province in northeastern DRC. A “legal representative” of APC, Jacques Mokako Nzeke, is also a member of parliament. In September, Bopolo started the process to award APC with a 239,393-hectare (924-square-mile) tract of land in the northwestern province of Mongala. To close the deal, it was to have been signed within 90 days. Greenpeace said in the statement that it “believes” it’s been signed, but it does not have proof. After his installation as environment minister, Bopolo told the Agence France-Presse that he ordered the cancellation of three “illegal contracts that are null and void” signed by Liyota and awarded to Chinese companies in 2015. In an August 2016 letter obtained by Greenpeace, then-Prime Minister Augustin Matata Pony Mapon said that the cancelation of those concessions should be sufficient for DRC to receive payment from CAFI. But in July, a group of NGOs said that just canceling the concessions wouldn’t be enough. In a confidential letter to CAFI’s board, Global Witness, Rainforest Foundation UK, Rainforest Foundation Norway, the Environmental Investigation Agency and Greenpeace argued for an investigation to identify the people responsible for these permits to make sure that corruption in the forestry sector does not continue. Now, Greenpeace representatives are asking that CAFI stop all its activities until these issues are sorted out. “To ensure that donor money is not wasted, a suspension of the entire CAFI program needs to be urgently put in place until a thorough revision of its overall approach including the adoption of adequate monitoring mechanisms and safeguards is carried out,” said Greenpeace’s Wabiwa.